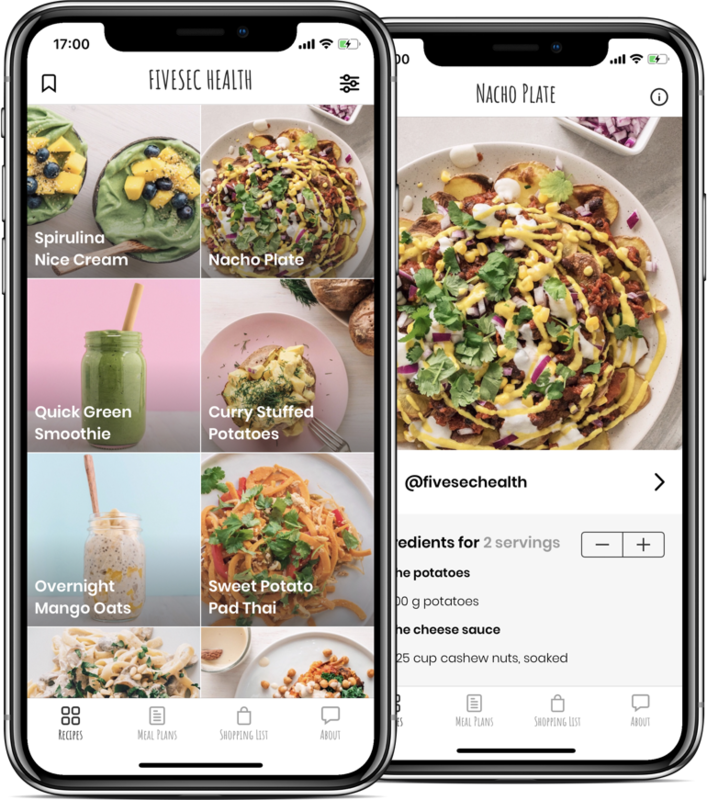 Want to get featured in the FIVESEC HEALTH App? We are looking for talented plant-based foodies that create healthy, simple and delicious recipes. You have now the chance to get noticed by thousands of Monthly-Active-Users with a direct link to your Instagram. Fill out the form below to submit your recipe. NOTE! The recipe has to be 100% plant-based, no oils, less than 15 ingredients and nutrient dense. Format the instructions like this: 1. Start by cutting all the vegetables. 2. Saute in water in a non-stick pan. If you have a tip before making your dish or some special info.